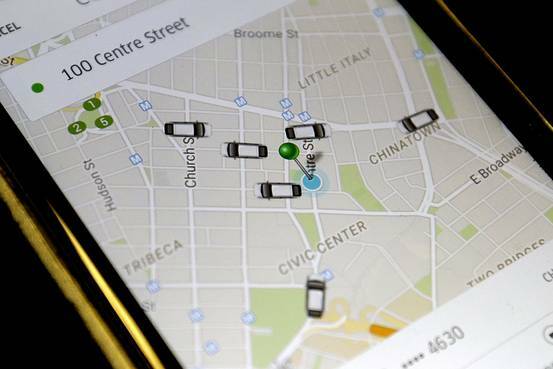 Uber’s low fixed costs are a key to its on-demand car services. Why then is the company seeking to acquire Nokia’s HERE Mapping business for $3 billion instead of simply partnering or cutting a deal to use the mapping service? Concurrently, Uber is raising another round of cash, reportedly between $1.5 and $2 billion, that will value the company North of $50 billion. Uber is beginning to build out its defensive position in the market, particularly in opposition to Google’s aspirations to provide local services. Nokia’s HERE maps are included in a variety of vehicles, from Jaguar and Land Rover to Honda and Mitsubishi. Those hundreds of thousands of vehicles are a nice-to-have benefit of owning a map business, however Uber’s defensive move is to own the data, metadata and APIs for accessing maps displayed in its applications for drivers and riders, as well as to support other services that may be tied into Uber. These include delivery services and local on-demand listings tied to an Uber-aware mapping capability, which places Uber at the center of the local delivery market. Maps are the most natural visualization tool for local services, as mobile phone applications have proven. Mobile overtook desktop search in 2014. Both mobile and web mapping are the design starting points for local search, and Uber wants to control a mapping service that can provide alternatives to Google-groomed results, which may ignore or demote non-Google results. HERE Maps, however, is not a profitable business. In Q1 2015, HERE reported a EUR 3 million loss despite a 25 percent year-over-year increase in revenue and 29 percent increase in the number of vehicles with embedded HERE map licenses. It’s not clear that Uber is in an advantaged position when negotiating with automakers, who may favor a map provider that does not offer an alternative to personal vehicles. Google or Apple Maps may simply appear to automakers as more benign vehicle mapping licensors. But the fight is also for all the non-driving listings that may be tied to a particular mapping service, too, and it is there that Uber’s independence from Google may be a selling point for on-demand providers seeking to leverage mapping advantages over Google-listed services. But ultimately, service providers will write applications that talk to all mapping services, so the HERE business, if acquired by Uber, could become a permanent loss-leader offered to the on-demand market in order to keep Uber driving and delivery services at the forefront of location-based search results. While the new Uber fund-raising would cover the cost of acquiring HERE Maps, the business once acquired will become a capital-intensive operation within Uber. As Nokia points out, the maps are living documents being updated millions of times a day. This requires coders to build and enhance, people to own and operate the product, and compute capacity. It does not fit cleanly into the Uber model, in which on-demand workers fulfill demand and are off-the-books when not producing revenue. HERE Maps will represent a constant cost center as well as a revenue center that is not Uber-centric (because of the licensing and services revenue HERE Maps represent going forward), consequently, the business will put pressure on Uber’s margins. The acquisition, if Uber wins the bidding for HERE Maps, represents a new phase in Uber’s development, and a step toward a more ordinary software-as-a-service model that also provides a pivot opportunity to move to an on-demand market services model. Perhaps Uber has decided vehicles were just one of the many commodities they can deliver on-demand. Join us at BIA/Kelsey NOW: Rise of the Local On-Demand Economy to discuss this and many more LODE strategies. Great vision by Uber. But too much, too soon. The $3 Billion downpayment on high maintenance mapping will be too much given that short term needs will be adequately met by Google, et al.